Life is busy! I know being self-employed makes life more challenging for me to find the balance with family, fitness and health. 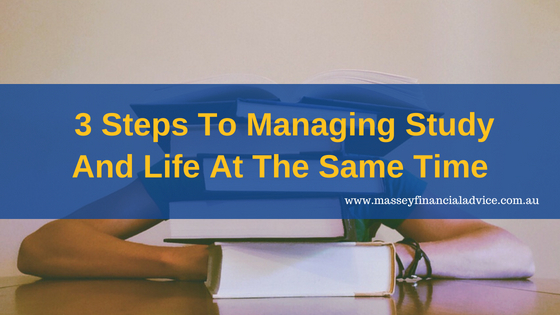 But what happens to the life balance when you decide to study and further your career? I decided to study and complete my Certified Financial Planner Certification, the highest financial planning designation worldwide. Before I chose to study I knew there would be a financial cost, which is why I continued to work. What I hadn’t factored in was the time cost when studying. I went in thinking that I would just find time to fit study into my life. It did not take me long to realise that this wasn’t the greatest plan and that it can put a lot of strain on your personal life. After a weekend of playing catch up, and a not too impressed family, I decided it was time for a study plan. Below are three tips that helped me find the right balance in this busy time of my life. Study became less of a juggling act once I worked out a routine that worked for my family, and stuck with it. It became about time management. 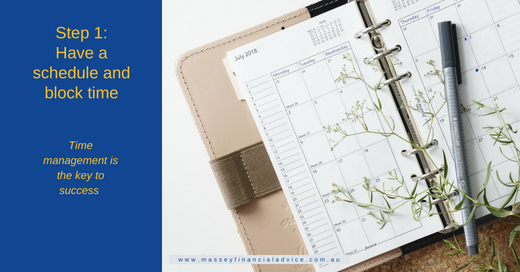 I entered family, work and personal commitments into my calendar. That way I knew what was coming up and planned my study around it. I was already doing this for work and family, but overlooked allocating (and blocking) time for study. I looked at the course content to work out what I had to complete in each study block to ensure I remained on schedule. I made sure I was realistic about when I thought I would have work completed. It is also easy to become distracted when studying. During the allocated times, I made sure I had a space where I could focus solely on study, whether it was a whole room, a corner in the bedroom, or going to the office. In life, we all have more than enough to juggle. With studies, family life, work and other responsibilities it won’t be long before you drop one or more balls. Before this happens it is time to call in reinforcements. To help eliminate some of the pressures try to outsource help where you can. Whether that be having a gardener come to your home, or have a cleaner come in to stay on top of household chores. You could outsource these externally or even look within your own family circle. You could also look for options that make everyday tasks easier, such as doing your grocery shopping online and having it delivered. We find it is helpful to plan our meals for the week before the weekly grocery shop so we limit the number of times we need to shop during the week. It is important to reward yourself when you meet your goals; it keeps you motivated and gives you something to look forward to. Rewarding yourself will also help keep your mental and physical health in order. 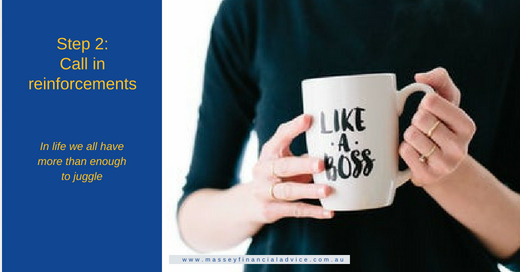 There are rewards you enjoy after you’ve achieved your goal, and those you give yourself to reinforce the behaviour along the way to achieving your goal. Of course the essential ingredient in choosing a reward is something that feels, well, rewarding. It needs to resonate with you in a way that makes you feel great. It doesn’t need to be extravagant, but it has to be something you don’t usually have time to do, or don’t allow yourself to do. Make sure you keep exercising while you are studying. It is important as a stress relief and I also found that it helped my creativity in solving assignment questions and letting the course content sink in and process. Studying while working full time is definitely achievable, it just takes a bit of planning, support, organisation and grit. 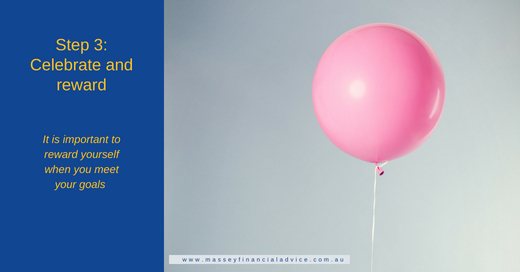 There was such a great sense of achievement when I completed the last subject towards becoming a Certified Financial Planner®. I love the bonus tip, it’s not only important when you study to exercise but for everything you do in life there needs to be a balance , and no better way to take your mind of the grind then by exercising. Thanks Fred. I agree entirely. Exercise often seems to be the thing that is dropped when time is limited, but is well worth continuing.